Sorry if I freaked people out yesterday. It seems like it came out sounding like a big deal when it wasn’t. Van moved to the new guild last night and omg, so many people online! That will be strange for awhile. I tend more towards doing things on my own, so it’s good for me to be in a bigger guild like that. I can always play on an alt when I need to be alone, after all. A few days ago, I figured I would give another try at Malygos. 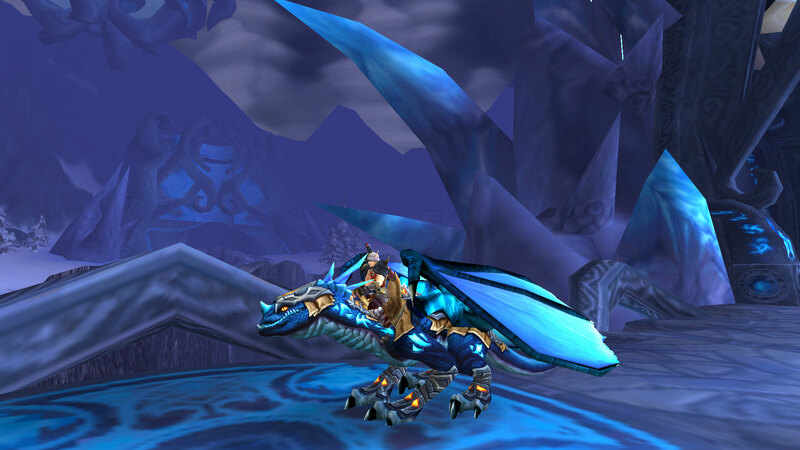 He’s dropped the blue drake for me (even though I had already bought one on the BMAH) but hadn’t dropped the azure yet. I wasn’t expecting it at all, so I almost didn’t notice when it dropped into my bags. I think this one and the twilight drake are my favorites for that drake model. 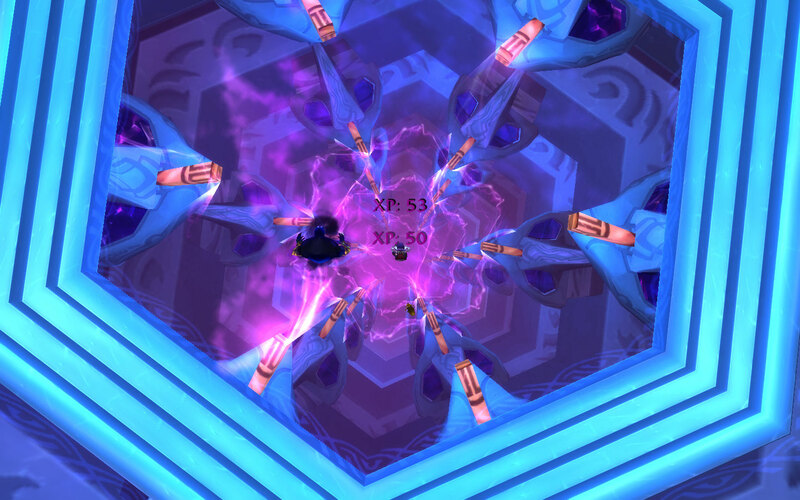 Then, a couple of days later, Van got the rare follower mission that awards the old Halaa battle and research tokens. It gives 100 battle and 40 research, so … enough to buy either one of the dark talbuk mounts. 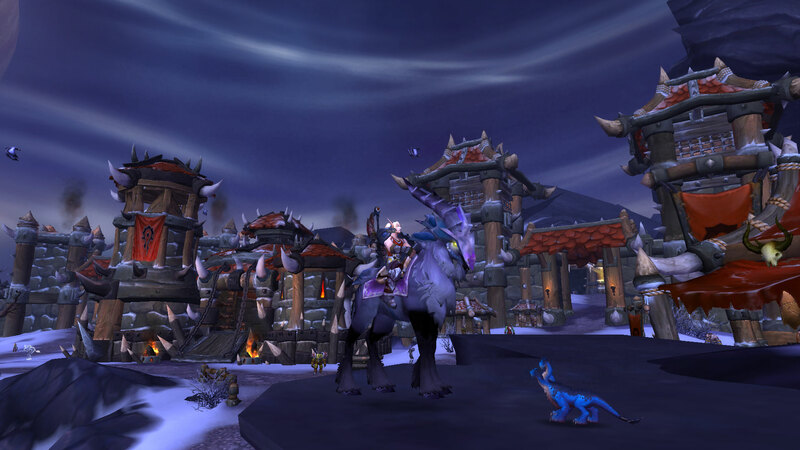 The mission only takes an hour, so before long he was headed out to old Outland to collect his prize. Problem … so were a bunch of other people. Now, this in itself wouldn’t be an issue, I mean, Horde outnumbered the Alliance there so the pvp was handled easily. Horde took over Halaa and the guards and vendors spawned. Herein lay the issue, however … the vendor is level, I dunno, 68 or 69. Meaning, a stealthed Alliance druid could moonfire her as soon as she spawned and prevent us all from making our purchases. Srsly, Blizz? You didn’t think this through all the way, did you? I will never understand the satisfaction people get from intentionally being dicks to others. But they do. That druid left eventually, and then a non-flagged paladin used her Gamon toy to turn into a tauren and stand on top of the vendor’s spawn point on a mammoth. Nice try but at least that one didn’t prevent us from obtaining our objective. I’ve also tried going back to the Timeless Isle to visit Huolon and also took a tour of Pandaria looking for warbringers. 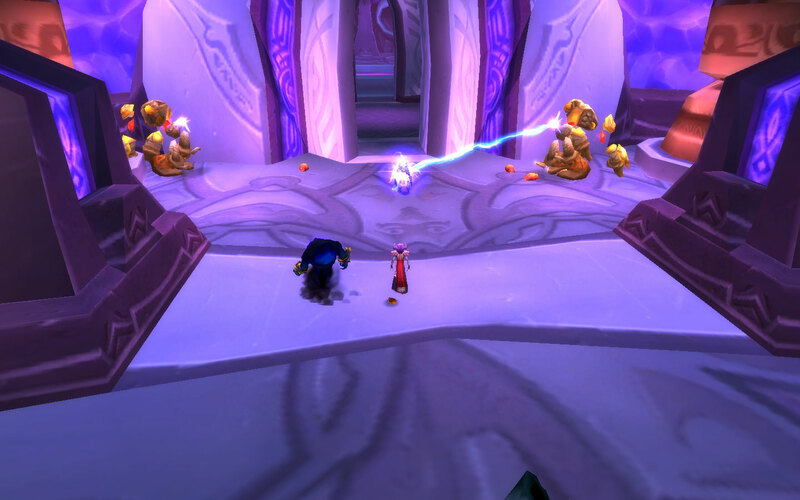 Unfortunately, Blizz in all their wisdom made Pandaria, including the Timeless Isle, a cross realm zone. So yeah, the warbringers were heavily camped. Guess I’ll have to wait awhile on those … again. P.S. Due to Winter Veil festivities, it will probably be a couple of weeks, next year even, before the next post.